This past weekend I hosted an intimate gathering in honour of my mother and sister’s upcoming birthdays as I won’t be seeing them on their respective special days. I decided to go with a Mediterranean theme for the menu taking cues from Italian, French and Greek cuisines. As a rule, whenever I entertain I lays try not to bite off more than I can chew. Preparing for an event no matter how small or relaxed can become extremely stressful if you try to make everything yourself. So I chose the “semi-homemade” route, making simple recipes and using some ready made fare. 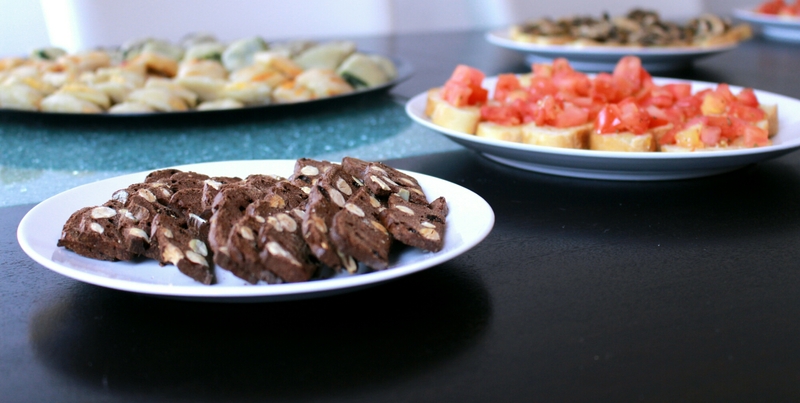 I will share how I prepared the items for this get together. 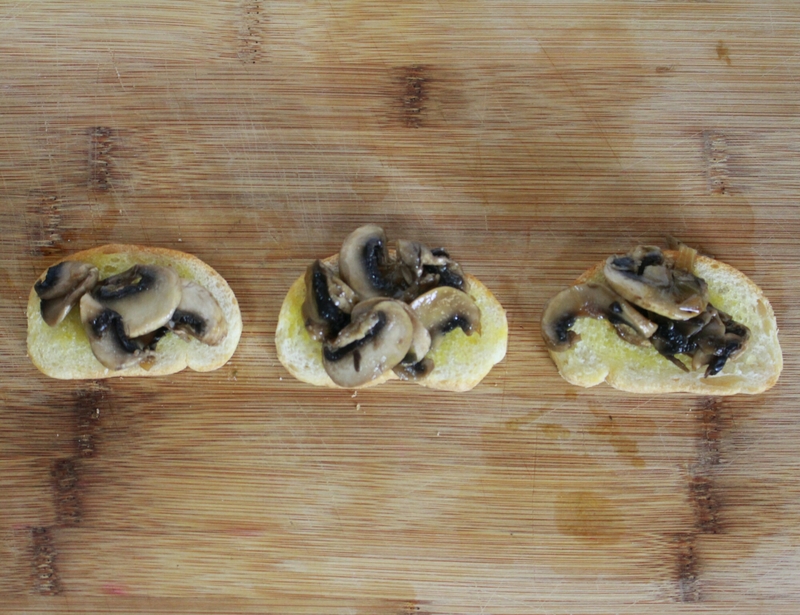 Bruschetta is a popular antipasto found in many Italian eateries and with good reason. It consists of slices of toasted bread coated in oil and topped with a variety of things including meats, cheeses and perhaps best known…tomato. 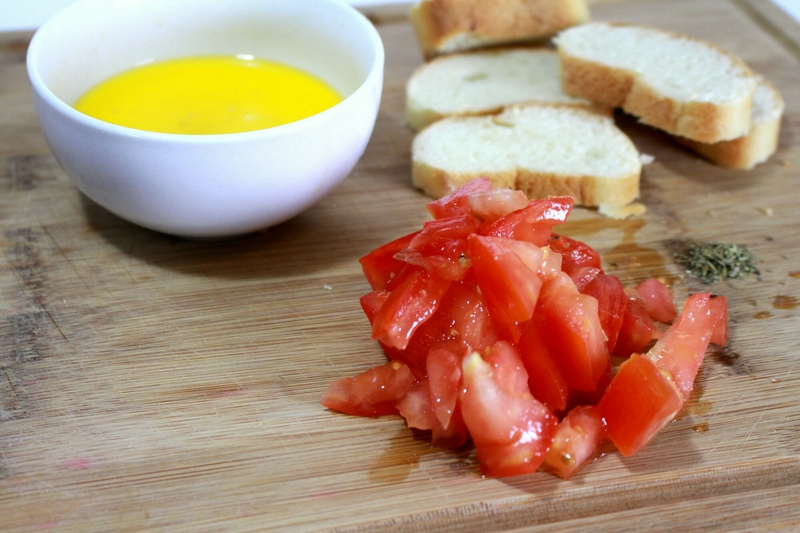 I made tomato bruschetta using a sliced baguette. 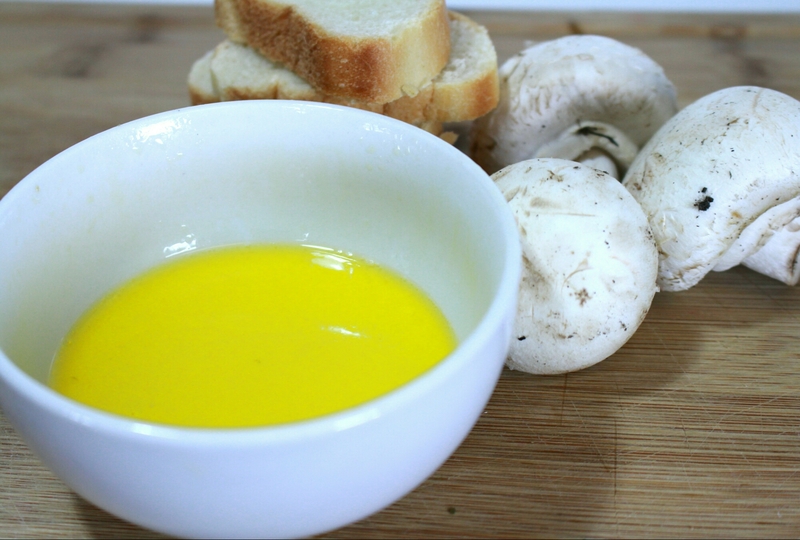 3)Stir to mix and place in fridge for at least 30 minutes to allow flavour to mature. Top bread with tomato mixture just prior to serving to avoid bread becoming soggy. 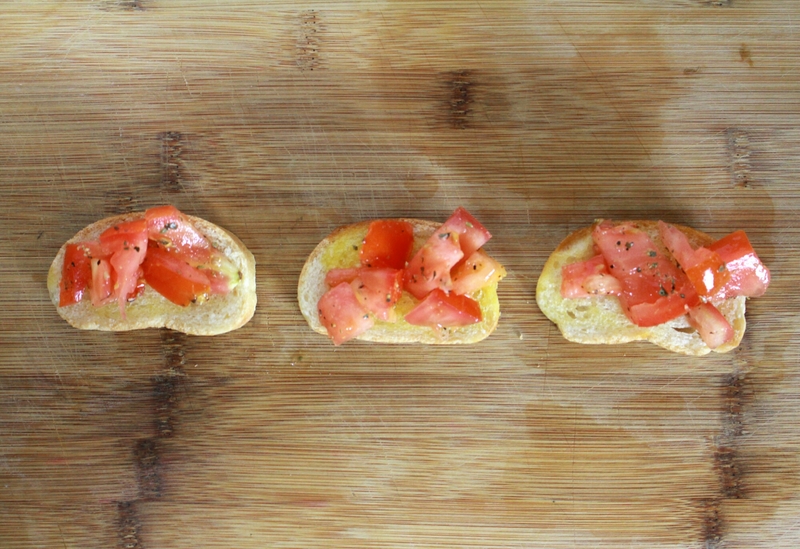 If you were to ask me the true difference between crostini and bruschetta I’m not sure I could answer clearly. 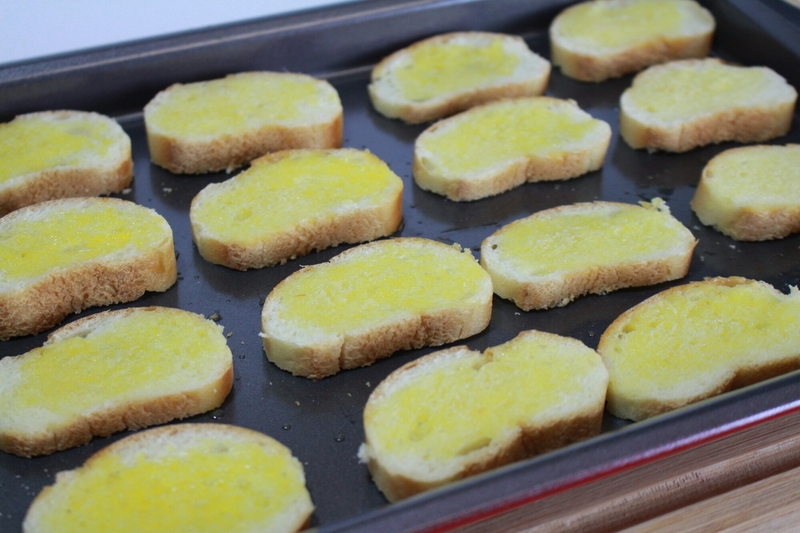 Both have Italian origins, both involve slices of grilled bread and both are often topped with similar items. That being said, I’m totally comfortable with calling bread topped with tomato bruschetta, but topped with mushrooms not so much. So I’m calling it crostini. 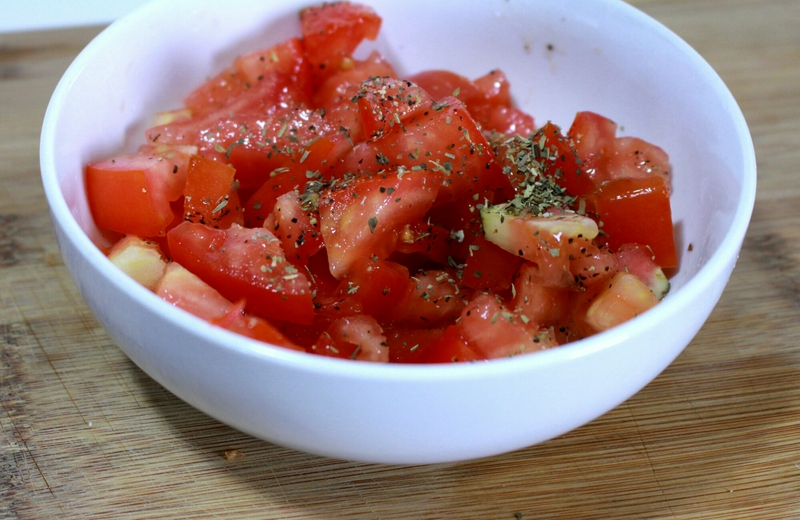 This recipe is almost identical to the bruschetta one except for the preparation of the topping so I’ll focus on that. 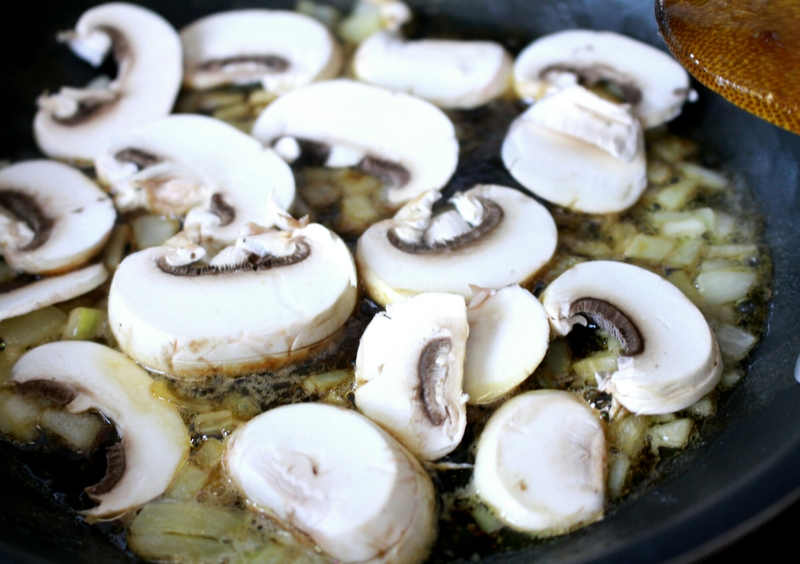 2)Add mushrooms and Sautee until browned. 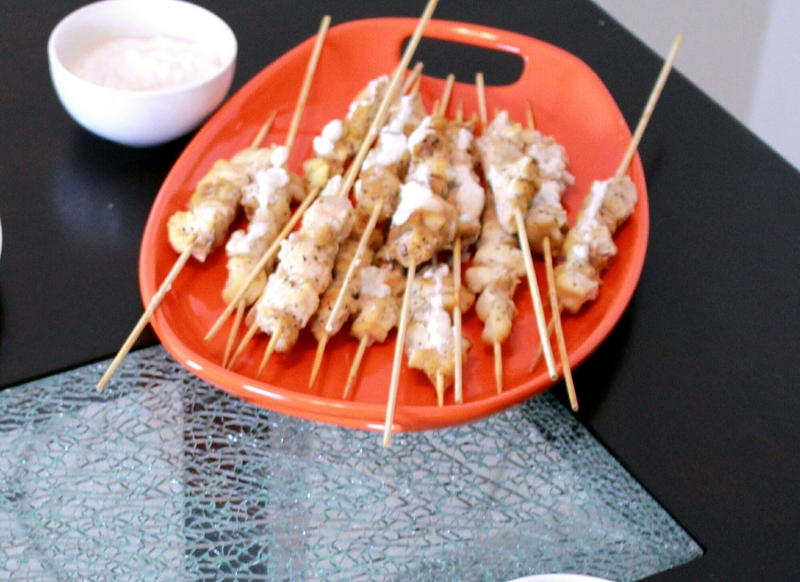 Kebabs are always a favourite of mine for parties. Who doesn’t enjoy eating bites of food off a stick? Something about it is just so much fun. Lol. The inspiration for this came from a blog post by Closet Cooking who created this recipe after tasting something similar while on vacation in Greece. The chicken is flavour education with the tart lemon and spices and topped with tzatziki. 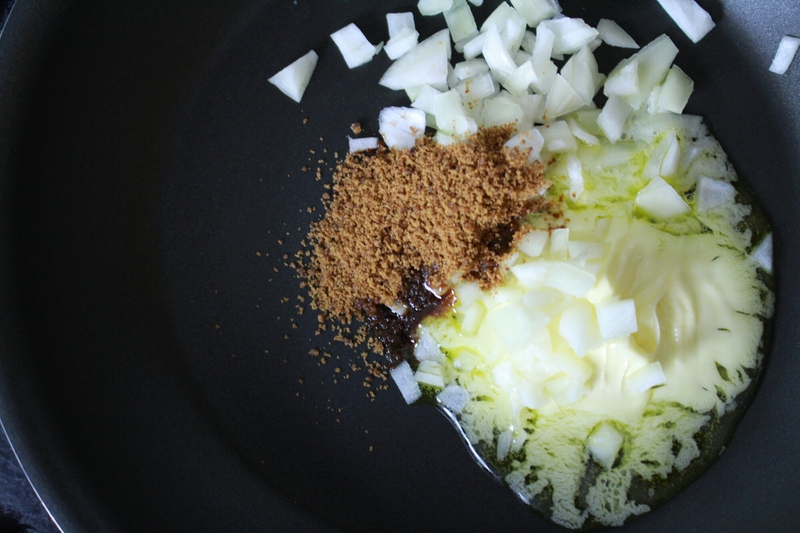 Tzatziki is a Mediterranean yogurt based dip infused with herbs and spices. It is served with meat or used with pita bread or vegetables as a dip. You can make it yourself but it is also widely available in most supermarkets (I bought mine). 1)Cube chicken and coat with juice of lemon, garlic and any other seasonings and let it marinate for at least 30 minutes. 3)Drizzle with Tzatziki-I also served some on the side. This one was easy-peasy. I saw an amazing olive bar at Whole foods and knew I had to recreate it even if on a micro scale. I bought a container of mixed olives and worked with that. 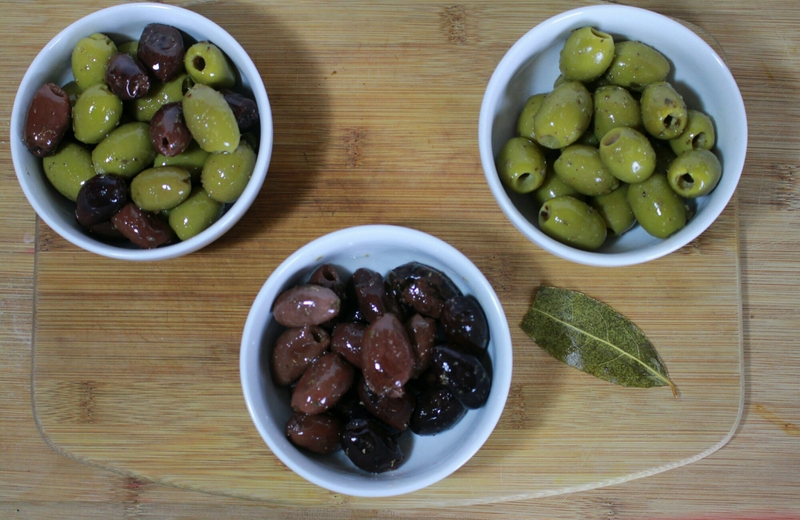 Distribute the olives in their various containers along with spoons and display. I used a wooden cutting board. I have to say, that out of all the dishes on this menu, this is the one I was most excited about. 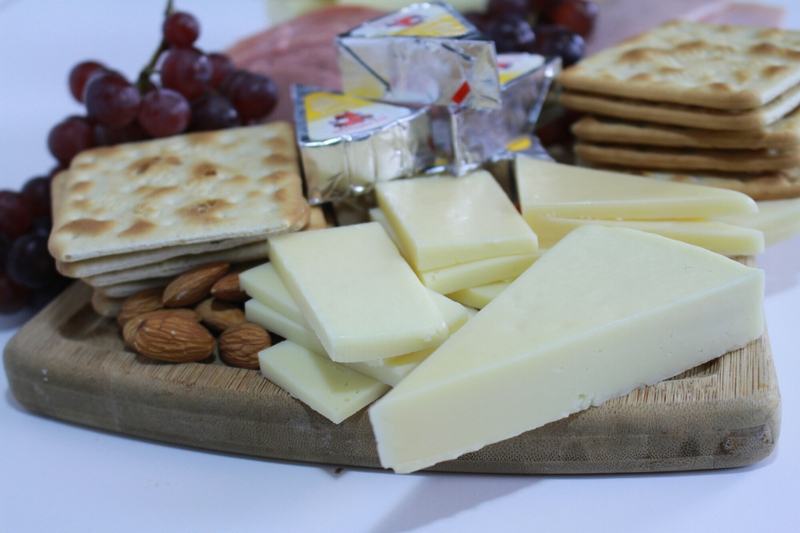 Cheese and meat boards or antipasti boards are becoming a bigger and bigger trend in the foodie world making appearances on lots of restaurant menus. 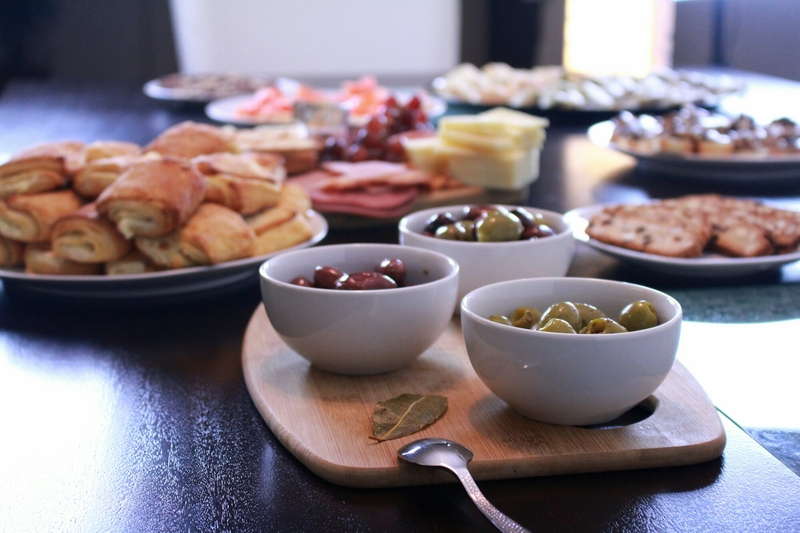 But these amazing appetizer boards are well established in Mediterranean cuisine. 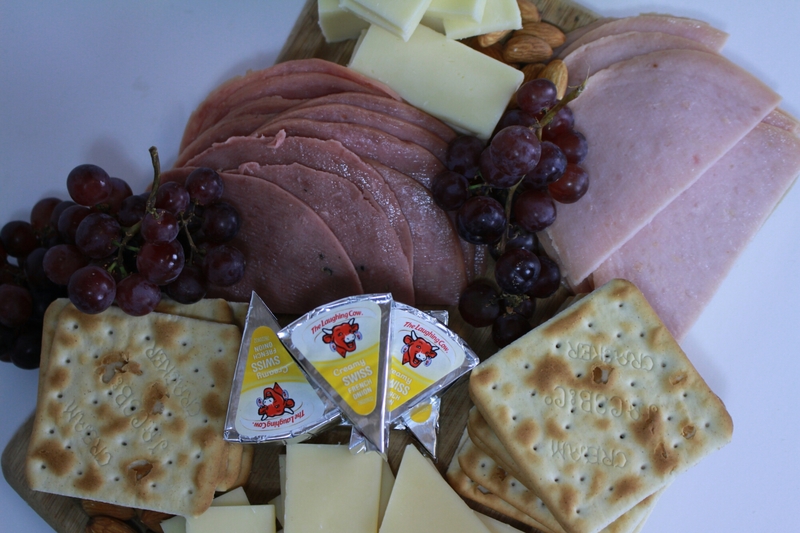 Cheeses- At least two types but as many as you wish. I used Asiago, Gouda and sweet onion Swiss cheese by Laughing Cow. 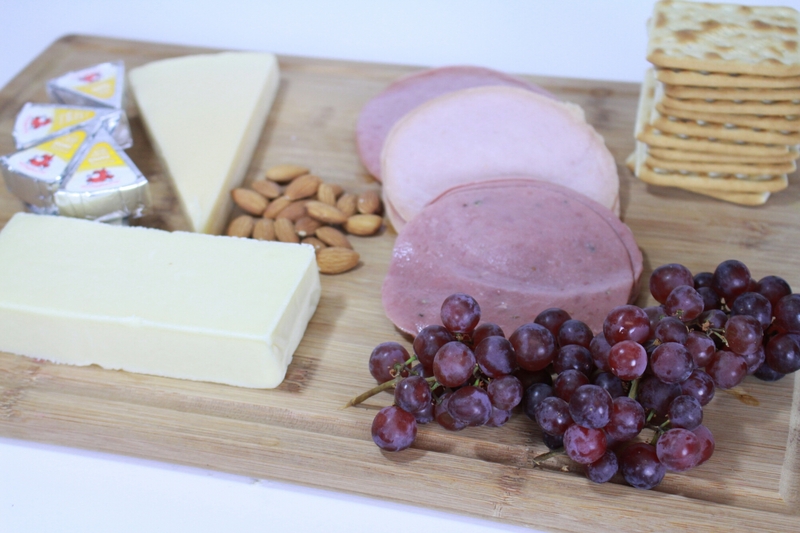 Board- This can be your cutting board, a marble board, slate board, metal board etc. Whatever you have. I used a rectangular board and most that I’ve seen do the same but this can work on a circular or oblong board as well. 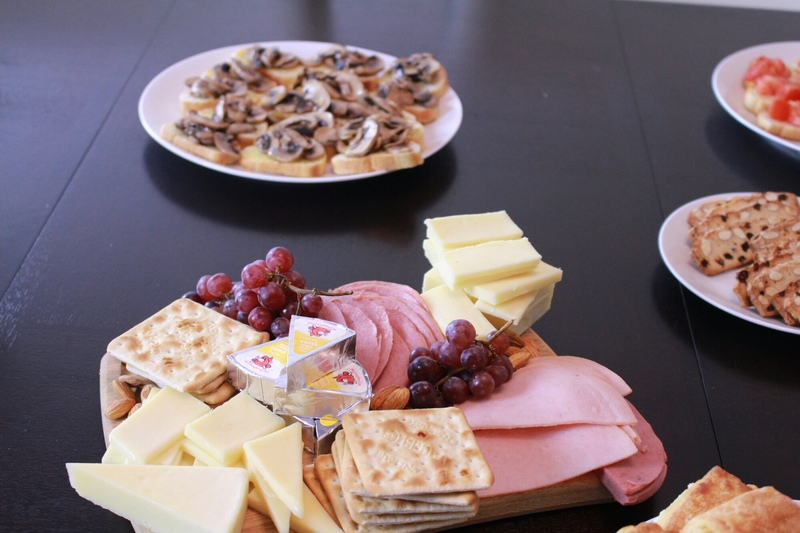 1)Arrange your cheeses and meats on the board. I tried to create something visually pleasing by placing the cheeses at differing heights and placing the meats in between. To round out this Mediterranean inspired fest I purchased some items to cut down on prep time and stress. 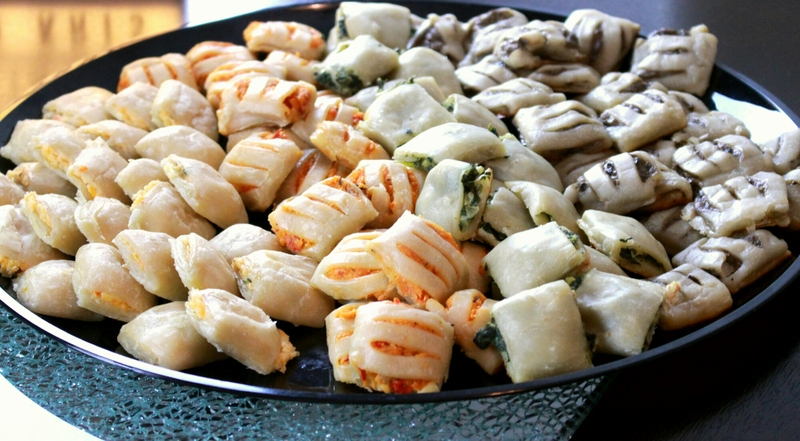 I bought a box of frozen mini pastries which came in four flavours: spinach and cheese, red bell peppers and cheese, sweet onion and cheese and mushroom and cheese…there was a lot of cheese. All the dessert was premade. Desserts are satisfying to make but boy will they eat up your time. 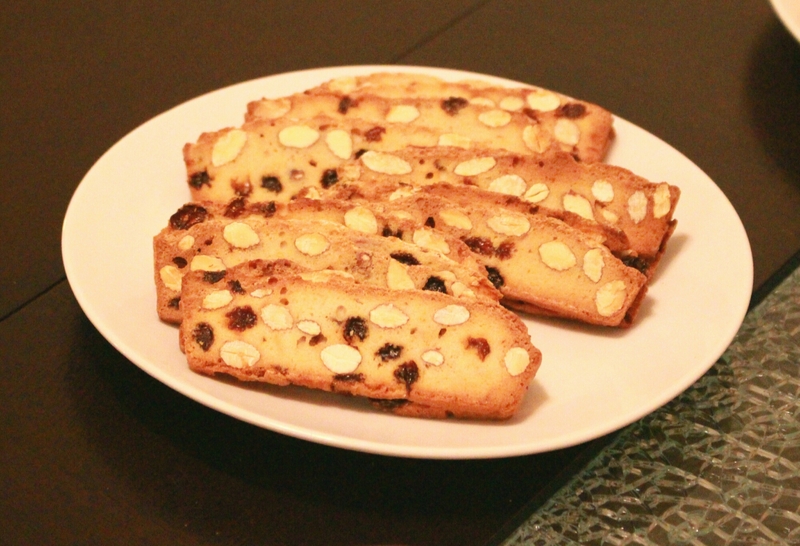 I purchased some Biscotti, a tasty Italian treat often eaten along with coffee. 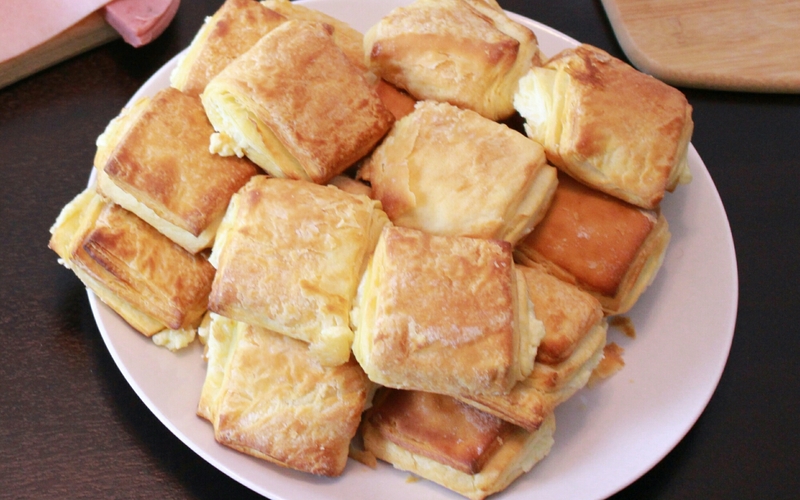 I also bought some French Creme cheese pastries which I warmed in the oven and served. The evening was great, spent with family and friends. There was good conversation and tasty food. As I say I always recommend doing some things yourself and getting help with others when entertaining, it makes everything a bit easier. 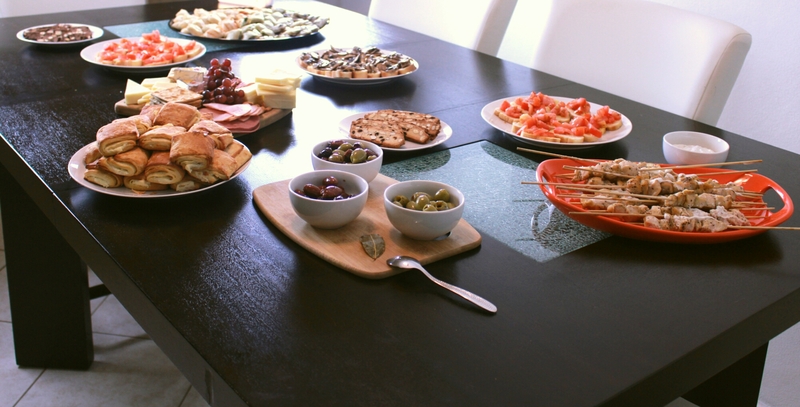 I hope my Mediterranean inspired Soiree gives you some ideas for your next event. Have an awesome day and Happy International Womens Day to all!